March 31, Com(e)passion Sunday, was a morning for hands-on service projects for all ages and abilities. -wrote letters and prepared care packages. -Our Girl Scouts made lunch for St. James Park. -Others made cards for shut-ins. -decorated placemats for our Grace Baptist homeless ministry. -And the UMW made lunch for all our volunteers. -at Taylor Street Farm, an organic educational non-profit on Taylor Street near Highway 87. -Our MYF youth participated at Casa de Clara for an arts & crafts project. 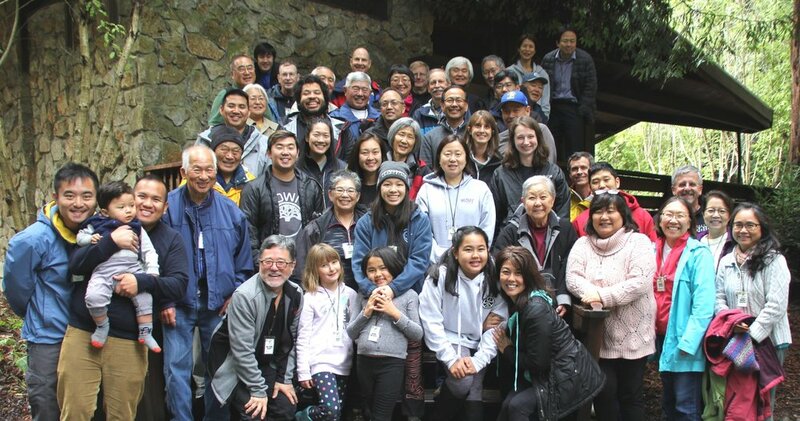 The Intergenerational Church Family Visioning Retreat held on Feb. 1-2 at Monte Toyon in Aptos. Entitled “Navigating the Future,” a metaphor for the church being likened to a ship. Are we anchored in a safe harbor, well sheltered and protected from the outside? Or are we moving out to sea and taking risks by exploring what’s out there in the world in our quest for making servants of Christ? We could assess where we are as a church, explore our church’s core values created nine years ago, decide the relevancy of these values today and if our ministries are a reflection of those values and if we are moving forward with multi-directional focused ministries that help grow the church. In groups we explored our core values, talked about anchors that may be holding us or how we’re moving forward. We met in small groups for idea sharing and brought the high points of these discussion forward to the larger complement. We took the time to be knit-picky and grand at the same time. That was cool! Boy Scouts thank you for supporting fundraiser on February 3! Tacos! Tacos! Tacos! These were fusion tacos, made with a special marinaded pork and crunchy slaw with an original avocado aioli, wrapped in two warm and comforting corn tortillas. The funds raised will provide for troop expenses including equipment repair, program supplies, offsetting of campsite fees. Hosted by the Missions Committee, the annual SOS (Share our Substance) pot-luck Thanksgiving feast was held on Nov. 18 and the Fellowship Hall was packed to the rafters as this is perhaps the most well-attended church event. And in thinking of our gratitude and appreciation, we as people of God made contributions the SOS program. This program helps provide the food products needed to feed the homeless programs and the St. James Park Ministry that we support throughout the year. Homelessness is a huge issue in our area and our guest speaker after the meal was Sandy Perry, President of the non-profit organization, Affordable Housing Network of Santa Clara County, who addressed this very problem in the Silicon Valley. The work continues. We thank the Missions Committee for hosting this annual event. A team of 70 workers helped end hunger by packaging meals on Nov. 3 in Wesley’s Fellowship Hall. Yes, two shifts of volunteers from Wesley Church, the Missions Committee, Com(e)Passion Ministry, Wesley Girl Scouts, Silicon Valley JACL, and the San Jose Buddhist Betsuin packaged 10,000 meals in a mere three hours. Wooo Hooo! After the first hour and a half shift, 6,000 meals were already completed. It was an easy chore to serve so many. 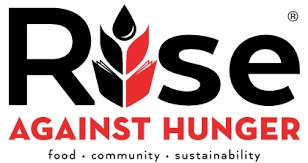 In a world population of 7.6 billion, 821 million suffer from Hunger,” said Clifford Sun, Rise Against Hunger facilitator. “The good news is there is enough food to feed everyone. It is our goal to alleviate hunger in our lifetime!” These meals will be shipped to areas where peoples’ lives have been devastated by natural disaster, famine, or war. By Grace Wada - Buenos dias hermanas y hermanos. That was the daily greeting we received from members of Iglesia Metodista El Divino Redentor located in Texoloc, which is in the State of Tlaxcala (Tloss-ca-la), Mexico, the smallest state in Mexico. Even though there is a language barrier, you can feel the love and happiness from everyone in the community. capacity. We then had a fabulous potluck lunch at the mission church where we had worked and were greeted with applause and smiling faces. possible. Anyone from Wesley can attend, from young adults to seniors, no experience required! Just come with an open heart and an empty stomach. Your heart will be filled with love and you definitely will not walk away hungry. There is something for everyone to do from carrying buckets of cement up wooden ladders, painting, sweeping, or just interacting with the local mission members. Please think about joining the VIM team next year! Singing favorite camp songs led by Mark Teagle, hiking with new friends around Pinecrest Lake; fishing at “Wesley Rock,” our lucky fishing spot with mentors Steve T and Bob Y; s’moring with 3 generations at campfire; sharing by kids and adults during Rev. Keith’s interactive worship service; 7:45am rise-and-shine “radio Taiso” exercising with Rev. Hajime; creating crafts with Lori Low; shibori indigo dyeing with Kellie Nunokawa; after-dark movie watching with over-the-top snacks at Camp A (everyone is invited! ); talking, laughing, praying—yes! ; cooking, dishwashing—not! We’re grateful for the All-Church Campers’ spirit, friendship, and love! A very special thanks to John and Christine Ng for planning and leading this favorite All-Church Camp weekend of fun and renewal with friends and family. Members of the Wesley community marched in the 2018 Silicon Valley Pride parade Sunday, August 26. Several South Bay Reconciling Congregations helped share the message of God's welcoming love during the Pride Parade and at a booth at the Festival at Plaza de Caesar Chavez in San Jose. Several also participated in a Communion service held at the Festival. West Japan flood relief, California wildfires During the month of July and into August we have been responding to many disasters and soliciting donations for several relief efforts. As of Sunday August 5th we had collected $7,600 for relief donations for the West Japan Flooding. Thank you to all who so generously gave! In addition, we are still collecting for our United Methodist relief efforts to support the victims of these most recent California wildfires that are burning throughout (but mainly in our California-Nevada Conference where most of these fires are located). We will continue to collect for the California Wildfire relief efforts. Please make your checks payable to "Wesley UMC" and clearly earmark your check for “CA Fire Relief” which can be submitted or mailed to our church office. Thank you for your consideration in providing financial assistance and services to the victims and the areas devastated by the fires! On Thursday, July 26, 2018, cast members from Doors Open and the Wesley Choir performed for the Welcoming Reception for the NQAPIA (National Queer Asia Pacific Islander Alliance National Conference). People gathered atop the bridge leading to the Chinese Cultural Center in San Francisco to sing for the over 600 people gathered there from all over the world. The group sang two songs from Doors Open, “Come Through Open Doors” and “God Bless Love” plus two other numbers. By the end, the audience was singing along and clapping despite the cold temperatures and windy conditions. “It was so cold,” remarked singer Kathy Takeda. “But people really responded to the music.” “We touched some hearts today,” said Dave Land. Siou Paogofie, Bonita Cheng, Shizuko Adachi, Barbara Hiura, and Mark Teagle were also there to represent Wesley. On April 22, 2018, twelve Wesley walkers and joggers joined 175 neighbors in support of Church World Service (CWS)/Crop Walk to End World Hunger. Tonight, thousands around the world will have clean drinking water, live stock to become self-reliant, and health care professionals who provide medical care and education. More importantly, CWS brought a little sense of security and hope. Wesley donated $1,585.00 to CWS with Sacred Heart Community Services and Second Harvest Food Bank sharing 25%. Thank you to those gave financially. Your gifts given in silence now roar with gratitude. Sundays, Tuesdays at St. James Park. Wesley UMC supports the people living in St. James Park through our Com(e)-passion Ministry. Wesley sends a group to bring food and fellowship to the people at the park. Mary Leano reflected upon the times that she has participated in the ministry at St. James Park. "Every Tuesday, Wesley serves coffee and bread or muffins to our homeless friends at St. James Park. Rev. Hajime started this ministry by going there himself and Rev. David would join him. Then I joined. Now this ministry has many people that come to serve. We have built a strong relationship with those at St. James Park and they have become our friends." Reverend Hajime also reflected on the St. James Park ministry. "Wesley’s homeless ministry has continued for 4 years serving on the last Sunday of the month and now on Tuesday mornings. Now we are building good relationships with them and we can call each other friends. "Sometimes, they share their struggles and joys and ask us for prayers. We have cried together and laughed together. This kind of relationship is precious to us. "Once, a policeman and park ranger came to us very sternly. As you know, now San Jose City does not allow the food distribution at the park. The police took Wesley to a sign posted at the other end of the park. At that time, we will never forget the faces of our homeless friends. They were very concerned. We believe it was not because they were worried that they might not be able to eat a nice breakfast any more, but they were worried about us. "We do not have a good solution for the situation with the homeless in San Jose, but we would like to find one for them for and make our community better with them because they are our friends." On April 24, 2018, 155 cowboys and gals were treated to a round-up and a hoe-down complete with our own country singers, a fabulous BBQ ribs and chicken dinner with all the fixin's, and line dancing. 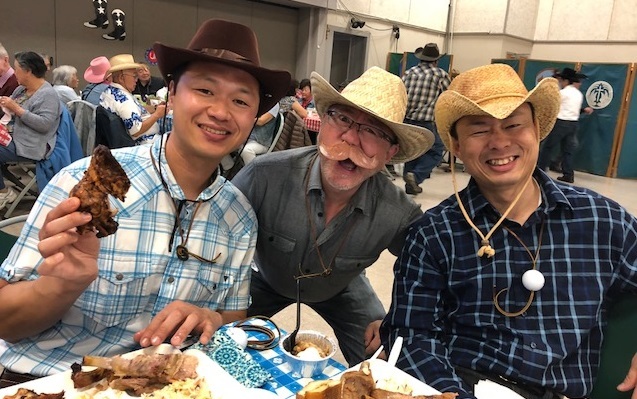 Ken Azuma acted as Sheriff of Ceremonies and somehow also won the Best Cowboy Costume Contest. Barbara Sano took home Best Cowgirl Costume honors. During a break from line-dancing, the children played a game of “Splat Ball” toss game led by Hailey Oshita and mom Lynn with everyone getting a splat ball. The adults tried lassoing a horse with a real lariat - not that easy even from six feet. The winners were Rev. Hajime (call me Tex) and Bobbie Ueunten! Wesley Church's Ash Wednesday worship service was a moving experience of the transformative power of God in our lives as we begin our walk with Jesus to the Cross during these nine weeks of Lent. There were four interactive prayer stations. With clay in our hands, we molded and reshaped a lump of clay, imagining ourselves in God’s hands. 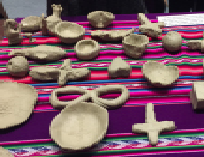 Throughout the service, we thought of God as our potter as we shaped ourselves and created a vast and unique array of symbols both personal and spiritual that we presented to God at the Communion table. At another station, there was the imposition of ash upon our foreheads where we were reminded that we were created out of ash and to ash we will return. With water, we remembered our Baptism, our covenant with God and our renewal from these cleansing waters and we put oil on our palms and were anointed, remembering that we are God’s people. This service helped each of us focus upon Jesus’ sacrifice for our sins and the work ahead of us as we walk with Jesus from the cross, to Resurrection and to renewed life in his light. What a powerful and enriching experience to begin the season of Lent. Update: Winter Blessing Bags for the homeless - Thank you for your support with making Blessing Bags! Before Christmas, Wesley UMC assembled Blessing Bags for our homeless friends at St. James Park. As Rev. David reminded us in his message, working as a community can make a big project attainable. We distributed the Blessing Bags on Christmas Eve. Our friends at the Park really appreciated the warm gifts. In addition, a meal of sloppy joes, chips, cookies, coffee, and water was provided. We served 72 meals! Also, our Nichigobu led the singing of Christmas carols. At the end, everyone cleaned up the park. Our homeless friends were very thankful for our compassion on Christmas Eve. The Com(e)Passion Team would like to invite you to share a meal with our homeless friends at St. James Park on the last Sunday of every month. For more information, contact Mary Leano through the church office. 12/2017 2,300 lbs of uncooked rice was converted into 40,000 little komochi patties. This year over 200 people participated - from washing rice, cooking it, cutting it, turning it over, and over, and over some more, to cool it; packaging it, weighing it, and selling it. Thank you to our Nichigobu who cooked wonderful lunches each day, and also provided us with mochi treats—seaweed wrapped mochi in soy and butter—Yum! Or peanut butter-wrapped mochi. This is a multigenerational function and the workplace was teaming with love and fellowship as it’s the best time to “talk story” and reflect on the Christmas story just passed and know that through Jesus we are unified under God’s roof in doing such culturally relevant and beneficial work. 12/2017 Wesley UMC marks the beginning of the year with the traditional eating of ozoni containing white, freshly-made mochi. Hats-off to the Nichigobu, our Japanese-speaking congregation, as they really know the art of creating the perfect soup for this time-honored event, and did they ever put on a wonderful educational program. "After the 2016 Presidential election, I knew I wanted to do something positive. The Women’s March on the day after the inauguration was inspiring but I realized I no longer wanted to put my energy into politics. In the separation of Church and State, I decided to go with Church all the way. I found and joined Wesley UMC, then found the Wednesday food distribution mission. I like giving food because it is so basic. There’s no judgment, no agenda, just food. I like giving food to people who are the working poor, the people who have housing, but who have difficulty affording everything else. These are Latino families who live in the neighborhood of our church and who might be afraid of the authorities so won’t show up at organized events, so we deliver the food to them. It’s fun being with the other volunteers, and I’m trying to learn a little Spanish to be better able to talk with them. It’s good exercise, too, jumping in and out of the van delivering bags of groceries. I just wish we had more food to give." 11/2017 Approximately 30 Wesley UMC members (staff, leaders, and laity) were present at our Charge Conference to celebrate the ministry of the past year and lift up our vision and hope for the coming year. Compiled in our annual Church Conference journal are the many reports from ministries, committees, task forces, and staff members. Extra copies of our journal are available in the church office. 11/2017 The 2018 Stewardship and Capital Campaign came to a close on November 5th when we dedicated the pledges/estimates of giving during worship service. During the month of October we had lots of presentations and wonderful sermons discussing our needs for both campaigns. It is not too late to turn in your Stewardship and Capital Campaign pledge cards. Please contact the front office at any time. 10/2017 The Fellowship Hall was full for the All-Church Halloween Party held on Sunday, October 29th. Following lunch, Dan Chan- The Magic Man and his 9-year-old son James, presented a show of illusions, juggling and card tricks! James was even stuffed into a balloon for the finale! Full tummies, fellowship of all ages, games, prizes and a make-your-own treat bag for the children, brought smiles and a joyful spirit throughout the afternoon! Thanks to all those who helped with the party! 10/2017 Our festival was colorful and bright and you noticed that right away. It was filled with laughter and eye-opening attractions that appealed to all your senses. Biggest hit of the day, Totoro of course, as this cute and cuddly Anime character waddled its huge girth onto our property to the delight of both old and young. Accolades go to the entire Wesley Family, and all the volunteers who came out in force to make this Aki Matsuri another one for the highlight reels. 8/2017 For many years now members of our church have been an active presence in both the San Francisco PRIDE Parade and the local Silicon Valley PRIDE Parade. The SV Pride Parade took place on Sunday August 27th and it was truly a festive and joyful witness of hope! 8/2017 Com(e)Passion team would like to express our appreciation for your generous donation to local elementary schools in the past four weeks. This is our second annual school supplies drive in collaboration with five other organizations in J-Town. This Wednesday on August 9th, we delivered over $5,500 cash donations, 45 reams of copy papers, and 12 boxes of classroom items to Grant Elementary, Horace Mann Elementary, and Bachrodt Elementary Schools. Your support will be incredibly helpful and allow us to reach out more students. Thank you so much for your support! 6/2017 Congratulations to Rev. David Ko who was ordained a Deacon and to Pastor Jon Visitacion who was commissioned at Annual Conference on June 23. It was heartwarming to see the stole placed across Rev. David's shoulder diagonally to his waist as he accepted this mantel of responsibility. The laying of hands, prayer, and as Jesus did to his disciples, so Bishop Minerva Carcano did for all ordinands … washed their feet. Pastor Jon was commissioned as he embarks on a journey in the Conference’s Residents in Ministry program. * Your cooking efforts for the San Jose community Winter Faith Collaborative has provided hot lunches and dinners every Wednesday since January 11 for homeless women housed at First Presbyterian Church and Grace Community Church. * Your generous support of our recent Mardi Gras evening has provided funding for our church’s missions efforts. * Our Com(e)Passion Ministry established relationships with Hispanic families with low incomes by providing food and shelter at First UMC (Rev. Shinya Goto’s church). * The Wesley UMC Immigration Task Force has begun investigating how best to proceed in enabling and protecting those from unlawful deportation. 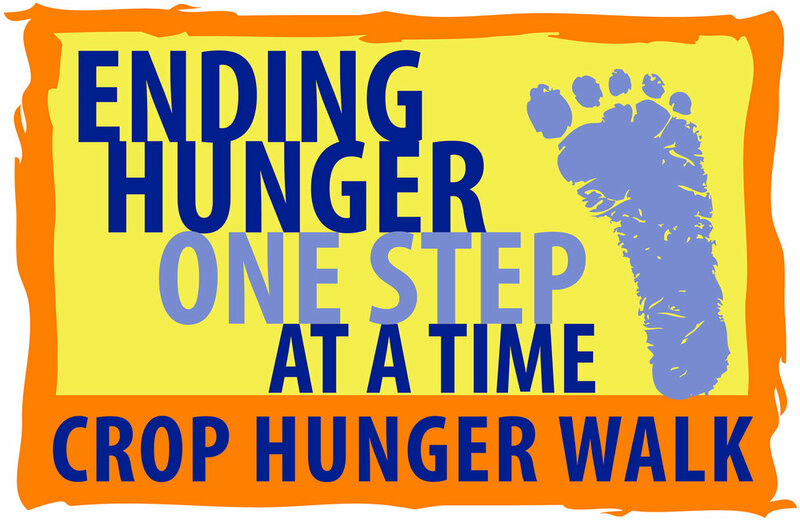 * And lastly, The Annual Bay Area CROP Walk to end world hunger is Sunday, April 23 at 1:00 pm in the Rose Garden are of San Jose. Pledges to walkers will help refugees around the world who daily face atrocities, starvation, and mass murder. 3/2017 The new musical Doors Open, by Wesley’s own Mark Teagle, played to an audience of nearly 300 people Saturday night, March 11 in the Wesley Sanctuary. People came from all over the Bay Area to see Doors Open, some from as far away as San Francisco and even Santa Rosa. There is interest from several other churches to host performances. A team is meeting to discuss future performances of “Doors Open. 3/2017 Our first Immigrant forum March 5 was a great hit! Over 75 people joined the forum. Father Jon Pedigo, Rev. Shinya Goto, and Geraldo Vazquez shared about struggles of Latino immigrants and discussed on how Wesley can support undocumented immigrants in this difficult time. It was a great joy to meet some of Latino families from San Jose First UMC. 3/2016 The Wesley Ukulele Band in 2016 performed at the Alzheimer Activity Center to a crowd of 45 clients and other adults. The audience danced to the selection of Hawaiian music and also enjoyed Hawaiian dancing by three of our ukulele members. Other Wesley groups perform music ministries at various locations in the Santa Clara county area. If you have a talent to share, contact the church! On February 21, 2016, our 142 Wellness Ministry Walkers celebrated six weeks' worth of walking: over 35 MILLION STEPS, equal to about 17000 miles! This turned out to be a ministry that grew by leaps and bounds with so many marching towards better health. There are a ton of walking stories. And because of the feel-good in this "step ministry," many of the teams have continued to stay together, be active, and aware of their health to become better servants of Christ! 48 Wesley men had a wonderful time at the presentation center on Jan 30, 2016. We learned about how to build Godly friendship with one another and enjoyed the fellowship throughout the day! Com(e)Passion team also hosted a holiday meal for after-school program students and their families on December 17, 2015. Erwin Polar, our chef for the meal, and after-school tutors cooked and served Chicken and Beef Fajitas, Beans, Rice, Tortillas, Salad, and desserts. Taqueria La Corona donated beans and rice for the Christmas dinner. We are very grateful for the local businesses supporting our outreach ministry to Grant school and building our community together! We brought Christmas in the park! In 2015 more than twenty Wesley members brought warm clothes, emergency blankets, and socks to our homeless friends at St. James Park. And of course! We sang Christmas carols together and shared hot soup with them in order to celebrate the birth of Christ. “What’s up Doc?” Carrots! It was a Bugs Bunny kind of day when twelve hearty souls from Wesley went on mission to Second Harvest Food Bank, 2015. They packed 12,500 pounds of carrots in just two hours. Wow! That's 1040 lbs/person! 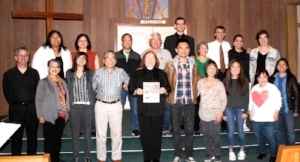 Nichigobu held a summer retreat at Willow Glen UMC on Aug. 1, 2015. Rev. Mikio Robert Fukada talked about the life of Rev. Toyohiko Kagawa. We learned that those who met with Kagawa had their lives and minds changed and were able to change their society. A group of young women played tone chimes. We really enjoy our Nichigo Fellowship. 68 people (42 from Wesley) gathered this year. Youth Ministry: MYF Justice Program “Standing Upon Barbed Wire” 2015 Thirteen youth joined the MYF Justice Trip without knowing much about the details of where we would be going, what the plans were, and what type of service work we would engage in. 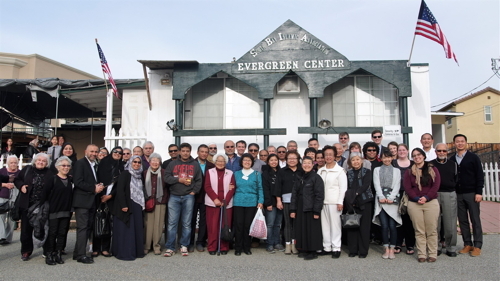 Unbeknownst to them, the MYF advisors with the parents' knowledge, planned a journey and experience that would hopefully emotionally connect them to a deeper, personal, and reflective understanding of the Japanese-American internment experience. Thirteen youth joined the MYF Justice Trip without knowing much about the details of where we would be going, what the plans were, and what type of service work we would engage in. 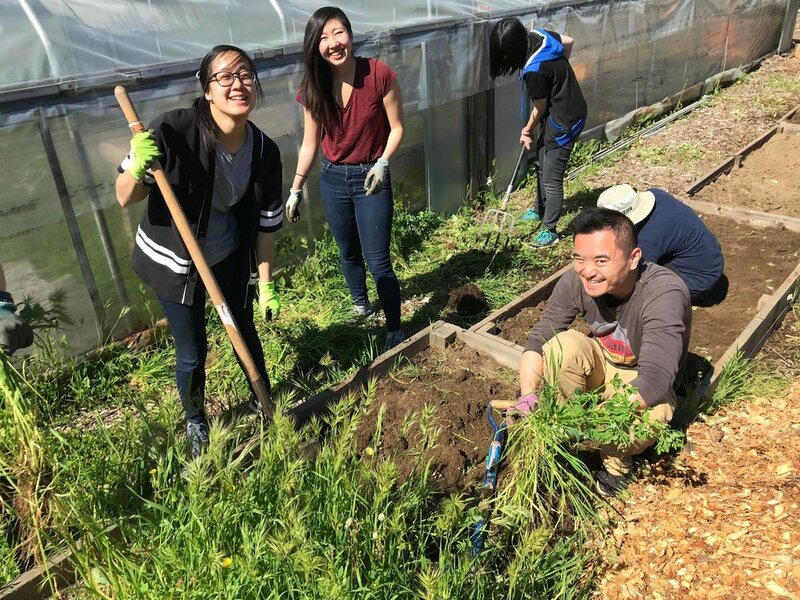 Unbeknownst to them, the MYF advisors with the parents' knowledge, planned a journey and experience that would hopefully emotionally connect them to a deeper, personal, and reflective understanding of the Japanese-American internment experience. The first clue of the adventure would be the actual radio announcement of the bombing of Pearl Harbor and the placement of Executive Order 9066 upon the wall. Youth were given a tag with a new name and ID and asked to transfer “only what you can carry” from their packed luggage into a smaller bag. A dramatic vignette of an Issei mom and Nisei son’s conversation would express their struggle of identity (played by Rev. Hajime and Tomoe) answering loyalty Questions 27 and 28, and taping a 2x4 ft rectangle upon the floor to lie in, would be experiences to push the youth to wear shoes of empathy. This trip was in partnership with youth at Faith UMC in Torrance and our MYFers flew to LA. Activities, journaling, videos, and discussion would all play a role in broadening their understanding, but the most important piece was to follow a personal story through the opening of 12 envelopes during our four-day journey. Each envelope would follow a story, remembrances, and reflections of an individual, beginning with evacuation through the assembly center, journey to and time in camp. The larger framework for this trip was identifying injustice and how our faith calls us to take a stand, be the voice or create action when wrong is done or when people are treated unfairly. Our love for God is always linked with love of our neighbor, a passion for justice and renewal of life in the world.